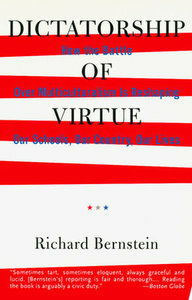 Journalist Richard Bernstein's 1994 book was among the first on the rise of political correctness. 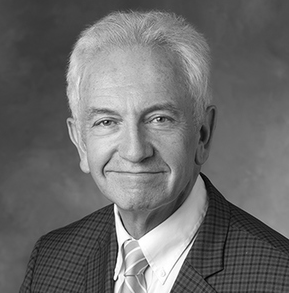 Twenty-five years later, he returns to Stanford University to take stock of the forces unleashed -- and those kept in check. Two things struck me as I listened raptly to Edelstein's talk: First, it was a creative, novel approach to the study of Western civilization, warts and all. And, two, it was largely devoid of the stock references to race, class, gender, “intersectionality” or any of the other identity-politics trends that, to the chagrin of both conservative and liberal critics and frequently in the eyes of the media, seem to dominate academic life. The 1988 march was among the early salvos in a movement that transformed higher education. Soon, the study of Western culture as a requirement did go at universities across the country. Out went the idea that an educated person needed to be familiar with the classic works of what were pejoratively called Dead White Males. In were new programs of study emphasizing race, class and gender that purported to give voice to those minorities, women, gays and lesbians who had been left out of the former, now discarded curriculum. Expanding the curriculum made sense to me in 1994, and yet I was skeptical of some of these trends, which made little educational sense. There was, for example, the decision at the University of Texas to replace essays by George Orwell in mandatory freshman composition with readings exclusively about racism and sexism in America. More generally, I found that the call for “diversity” was really a disguise for an angry, intimidating, demagogic demand for conformity to radical, leftist politics. The movement certainly opened the academy to fresh ideas. But it also reflected both a narrow-minded resentment toward Western liberal democracy once only found on the extreme left and a reflexive tendency to quell open debate with those who questioned their ideas by casting them, in tones of righteous indignation, as racist or sexist. In the decades since, there's been plenty of righteous indignation expressed: the campus thought police demanding (and often getting) protection from anything they deem to be offensive; informal limits on free speech; reckless accusations of racism, sexism, and homophobia; violent demonstrations against conservative speakers. It goes on. Such episodes and events often get wide attention. And I was expecting to find a deeply fraught atmosphere at Stanford. Instead, what I found there, 25 years after my book's publication, was not the brute triumph of a narrow, politically correct orthodoxy but a far more subtle and peaceful outcome to those battles. To be sure, the liberal-left, identity-politics forces for change have scored great gains. They are now established in the departments whose creation they demanded, while things like the Western-civ requirement remain discarded. But I also found that things have calmed down. The day-to-day mood is less explosively acrimonious than it was a quarter-century ago, in part because those who want to concentrate on identity politics now have their places. But they are contained there. They haven't shut the rest of the place down, and the rest of the place – perhaps a not silent but discreet and quiet majority – goes about its business delivering a pretty good education to students. As Edelstein's and many other classes show, even Western civ remains alive at Stanford, where it is treated with rigorous respect and not generally viewed through the Manichean lens of identity politics as a perpetual veil of tears for women and minorities. True, the words “Western civ” are rarely spoken, but it's there, hidden in plain sight, able to breathe on its own. In what resembles a kind of stealth operation, it's been cultivated and adapted by faculty, and it can still be used to satisfy undergraduate requirements, and a lot of students do just that. Russell A. Berman: “The claim that the universities are overrun by political radicals is incorrect. Academic radicalism is limited to humanities fields, and even there it is a minority viewpoint ..."
This doesn't mean that calm always prevails at Stanford, or that some members of the overwhelmingly liberal faculty don't protest the presence of conservatives in their midst. A recent incident had to do with the Hoover Institution, the archive and research organization, and reputedly a haven for moderately right-of-center politics, whose 250-foot Romanesque tower is Stanford's most visible landmark. Its current fellows include some of the university's best-known faculty, from Berman himself, to former Secretary of State Condoleezza Rice, to the political scientist Larry Diamond, to William Perry, secretary of defense during the Clinton administration. 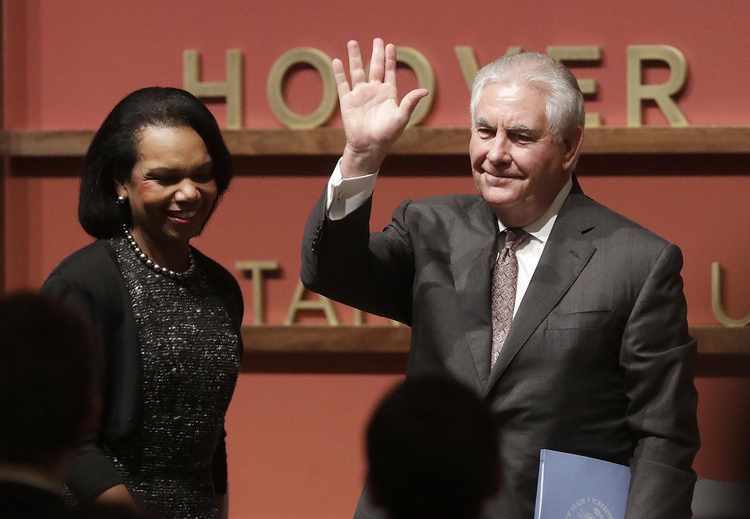 Ex-Secretary of State and current Hoover Institution fellow Condoleeza Rice in 2018 with then Secretary of State Rex Tillerson. This debate will go on, and the important thing is that it can go on, reflecting the presence of two contrasting worldviews at Stanford and other elite institutions, two worlds that occasionally engage in public clashes but most of the time live their separate lives. Stanford of course is fabulously rich, enormously prestigious, its campus sprawling across a lush California landscape a bike ride from Silicon Valley. To be part of each year's undergraduate class of roughly 1,700 is to gain a kind of automatic entry into the American elite, and, not surprisingly, it's extremely hard to get in. In 2018, Stanford accepted just 4% of the more than 47,000 high school seniors who applied, nearly double the number from 10 years earlier. A detail from the gender news page of the Clayman Institute at Stanford. Surely this explains at least in part the non-existence of an explicit Western-civ requirement. If in the past there was a yearning for a single grand narrative – namely the Western invention of the concepts of freedom, individual rights, and democratic self-government – now feminist narratives, African American narratives, and others have been added in. In that sense Stanford and other elite institutions reflect what's happening in the surrounding liberal culture, whether it's the mainstream press or the Democratic Party. This isn't going to change. Two years ago, the Stanford Review, adopting its customary dissenting position, proposed that the university reinstate the Western-civ requirement, arguing, as its editor at the time put it, that students should know “the literature and ideas that have created rational thought, economic prosperity, and personal liberty for billions.” The student body voted down the proposal by a resounding 6-to-1 ratio, and it is entirely possible for undergraduates at Stanford (as at most elite universities) to go through their entire four years there without coming into close contact with the foundational works of our American democracy. But, as both students and faculty told me, there's a choice. At the moment, the main freshman requirement is the program that Berman directs called Thinking Matters, whose course offerings illustrate the stealth survival, even a modest flourishing, of the old Western canon. Stanford's conservative newspaper, whose founding editor was Peter Thiel, the tech entrepreneur. It's not clear from the titles, but a typical reading list for some of these courses contains plenty of texts from the dead white male canon, Plato's early dialogues, Tolstoy, Montaigne, Locke, and others. There's also a year-long program under the Thinking Matters umbrella called Structured Liberal Education, available for 100 freshmen; the curriculum, as the catalog puts it, “is drawn largely, but not exclusively, from the Western tradition.” Students read a selection of authors, including the Chinese philosopher Zhuangzi, Descartes, Flaubert, and Nietzsche. It appears to be the only program at Stanford where the Western canon is explicitly invoked. But in addition to their single Thinking Matters class, which is just a fragment of an undergraduate's time at Stanford, students have to take 11 quarter-length classes in what's called Ways of Thinking/Ways of Doing, aka WAYS, and here is where the fashionable trends in identity politics, race, gender, sexuality, class, and their “intersectionality,” as the current term has it, become thick and heavy. There are dozens and dozens of courses in WAYS, and the diversity theme is omnipresent -- “Race and Gender in Silicon Valley,” “Ethnicity, Race, and Identity in Performance Cultures,” “Introduction to Comparative Queer Literary Studies,” “Race, Gender, and Sexuality in Contemporary American Film,” and “Introduction to Intersectionality” (readings drawn “chiefly from black feminist scholars”). A detail from a Stanford undergraduate course description. “It's to appease the many people who are demanding ever more requirements for diversity,” one student told me, his wish not to be identified itself a reflection of the sensitivity of the topic. But the student also acknowledged that such requirements could be useful “in preparing us for a more diverse society,” and more important, he said, there's enough on offer in WAYS that those who want to can avoid what appears to them to be leftist indoctrination. “There are plenty of ways to get around the requirements,” he said. Among those ways are courses that might have been found at Stanford in past decades. There's “The History of South Africa,” “The United States in the Twentieth Century,” “War and Peace in American Foreign Policy,” “Colonial and Revolutionary America,” “Nineteenth Century America,” and others. 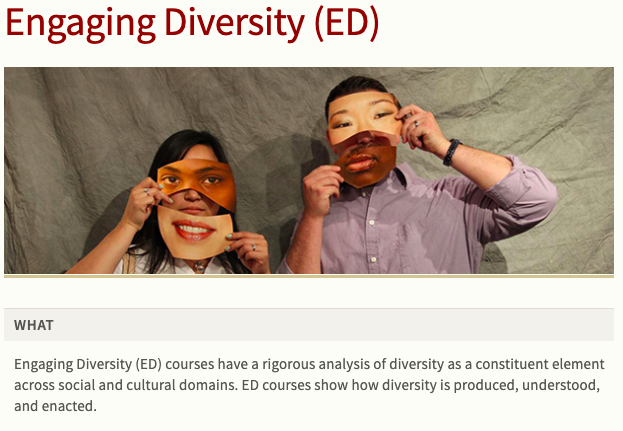 And it would seem from course enrollment figures and the choice of majors that while courses in “Engaging Diversity” may be required, they're not where students are putting their main effort. Still, among those who did talk to me, almost none of them characterized Stanford in the way some of its outside critics describe it -- as highly politicized, its curriculum dominated by a politically correct leftist program. Berman, the Thinking Matters director, noted the irony that while fierce ideological conflicts get most of the ink, the real problem now may be the lack of intellectual passion among students. Over lunch at the student union, sitting at an outdoor terrace looking over Stanford's hacienda-like sandstone campus, he told me, “There's a growing belief among students and their parents alike that a college education is direct preparation for a job, rather than an opportunity to deepen one's personality or to create engaged, thinking citizens.” The challenge is to entice students largely interested in other things back into the humanities. “The right question isn't 'Why aren't our students reading the Federalist Papers?' It's 'Why are our students primarily doing problem sets without reading much of anything at all?' " he said. Hoover Tower on the Stanford campus. 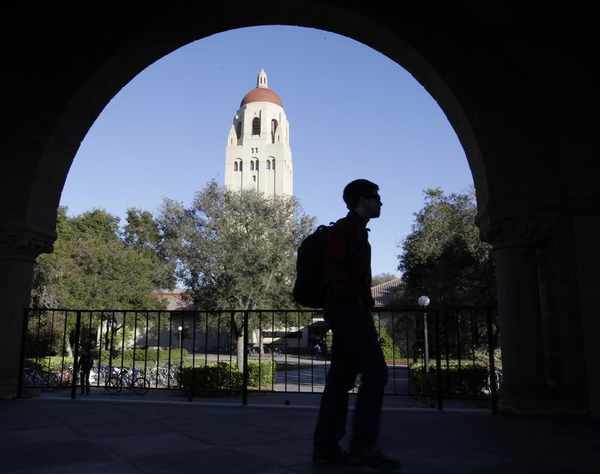 But people are probably no more nervous at Stanford than they are at many other elite institutions, academic and non-academic, including much of the mainstream press and the Democratic Party. And in that context, Diamond argues that some of the portrayals of university life, especially in the right-wing media, are exaggerations. “It's easy to caricature the PC element,” he said, “but actually there's more pluralism on campus than is visible to the outside world.” He gives the example of Condoleezza Rice, secretary of state in the George W. Bush administration whose arrival in the Stanford Political Science Department in 2010 was greeted with student protests.